JEFFERSON -- As is the norm at such events, there were supporters and detractors, as well as the simply curious in attendance Thursday at a solar energy-related, open house-style informational session at the Jefferson Area Business Center. The focus of the meeting was the Wisconsin-based solar installation being proposed for location just west of Jefferson. Another solar facility is being proposed for location south of Watertown in the Concord area, but that project is separate and was not addressed at the Jefferson session. As it stands today, Ranger Power is proposing a 149 megawatt solar power facility called Badger State Solar, which is planned for siting in the Jefferson County towns of Oakland and Jefferson. Badger State Solar will utilize about 1,000 acres of non-contiguous land located within a larger, 5,000-acre area in the two townships. The property is offered by landowners interested in participating in the project, which will feature rows of solar panels that track the sun throughout the day, with 16 to 20 feet between each row. The panels were described by Ranger representatives Thursday as "being about as tall as full-grown corn" and would have their point of interconnection with the electric transmission system west of the city of Jefferson on the northwest corner of the intersection of Highways 18 and 89. Ranger Power is planning to develop, own and operate the project and in mid-March, Dairyland Power Cooperative announced it would like to purchase electricity from the facility. The project will produce enough electricity to provide the equivalent annual needs of about 20,000 homes, according to Dairyland, which also had representation at Thursday's meeting. If all approvals are granted from local and state permitting processes, construction would begin in 2020 and operation would commence in 2022. "Today's announcement shows that solar power has become a cost-effective resource for Wisconsin's major power providers such as Dairyland Power," RENEW Wisconsin's Executive Director Tyler Huebner said in mid-March after it was announced the two businesses would be working together. "By committing to this solar project which will be built right here in Wisconsin, Dairyland will meet its goals of safe, reliable, affordable, and an increasingly sustainable and diversified energy supply. 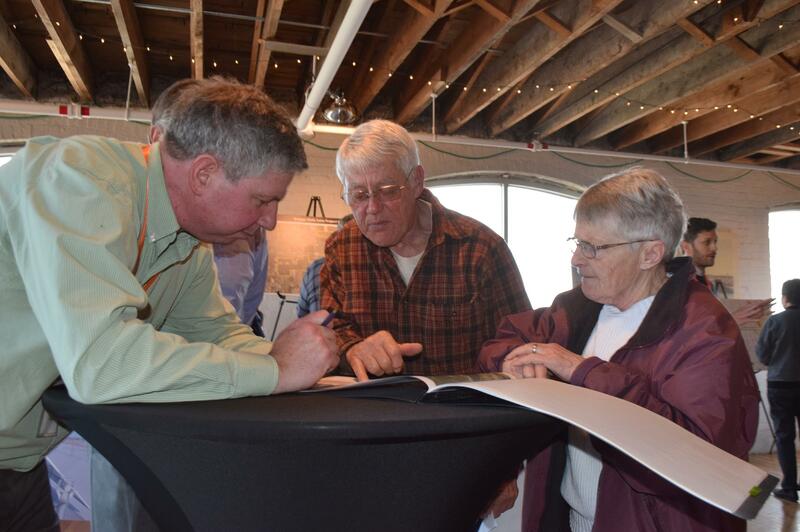 We congratulate Dairyland Power Cooperative and Ranger Power on this historic announcement." By RENEW Wisconsin's count, the state had about 103 megawatts of solar at year-end 2018, with Dairyland Power Cooperative responsible for about 20 megawatts, already placing it as the leader in the state for the amount of solar installed to-date. "This project, along with a number of additional major solar projects, will dramatically increase the amount of solar energy produced in Wisconsin in the next five years," Dairyland said. In addition to the renewable energy it produces, the Badger State Solar Project is expected to bring significant economic impacts to the area. Ranger Power estimates the facility will require 498 construction jobs during its creation and up to 12 long-term positions once it is operational. It is estimated there will be three to five full-time jobs needed to operate the site. "The project will produce enough clean, low-cost energy to power tens of thousands of homes and will help Wisconsin meet its goals for in-state renewable energy," materials distributed by Badger State Solar in Jefferson Thursday stated. "The Badger State site is located close to existing electrical infrastructure, which minimizes the project's footprint and avoids the need for long transmission lines." According to Badger State, the Jefferson County project is a new private investment in the county and will be a major source of fresh revenue through the Wisconsin Shared Revenue Program. Earning's generated are estimated at $29.5 million for Wisconsin and $2.6 million for Jefferson County during construction, with long-term annual earnings projected at $683,000 for the state and $446,000 for the county. The investment would be more than $100 million. Ranger Power President Paul Harris, based in Brooklyn, New York, traveled to Jefferson for Thursday's meeting. "We look forward to continuing to work with the Jefferson County community throughout the project development and approval process," he said. Ranger Power is a utility-scale solar energy development that said it is a company committed to working closely with landowners and communities to bring new investment and clean energy to areas throughout the Midwest. -- Photovoltaic solar projects are quiet, safe and generate electricity without any emissions. -- Unlike other generation resources, solar provides low-cost, stably priced electricity. -- Badger State will require little maintenance and will not strain local services. -- Badger State's solar panels will be between 12 and 15 feet high. -- The project will maintain significant open space between the panels; use of suitable pollinator habitat is being investigated. -- Ranger Power conducts rigorous studies to ensure that projects will not adversely impact the local environment or the community. -- After its useful life, the project will be decommissioned and land returned to a state suitable for agricultural use. Jeff Rauh of Ranger Power talked with the Daily Times Friday morning about the session and said he and his colleagues were pleased with the turnout and enthusiasm showed the project in Jefferson. He said Badger is looking forward to more public information sessions and to working with the local citizenry as the project moves along. Dozens of area residents took the time Thursday to attend the informational open house. There were those in favor of the project -- some of whom have already agreed to lease land to Badger State. There were also those against the solar installation. Chuck and Doreen Renz of Fort Atkinson fell into the latter category. "We are not happy about this," Doreen told the Daily Times. "We are here to complain. We are worried about the impact this could have on our property values." Chuck said the views he and his wife enjoy will be ruined by the panels if they are installed. "I want to look out my windows and see corn, not solar panels," he said, adding they may not be able to sell their land in the future at an acceptable price because the rural view many people seek will be destroyed. Town of Jefferson landowners Gary and Carol Lunde, formerly of Helenville and now residing in Vernon County, traveled more than two hours to attend Thursday's session. "We are satisfied with what we are hearing," Gary said of presentations by Ranger Power/Badger State. "We are in the project. They have leased 40 acres of land from us already. Badger State has been presenting things very well." Gary once ran a sod farm on the land he is now willing to lease for the solar project. It has since been rented by neighbors for growth of different crops. "Thirty acres at the site is well-suited for the panels," Gary said. "Everything we have heard from them has been up-front and business-like." Carol said Badger State did a good job of articulating what the benefits would be to all, with Gary adding he hopes the project goes through smoothly. "I think solar is a good use of land like that," he said.